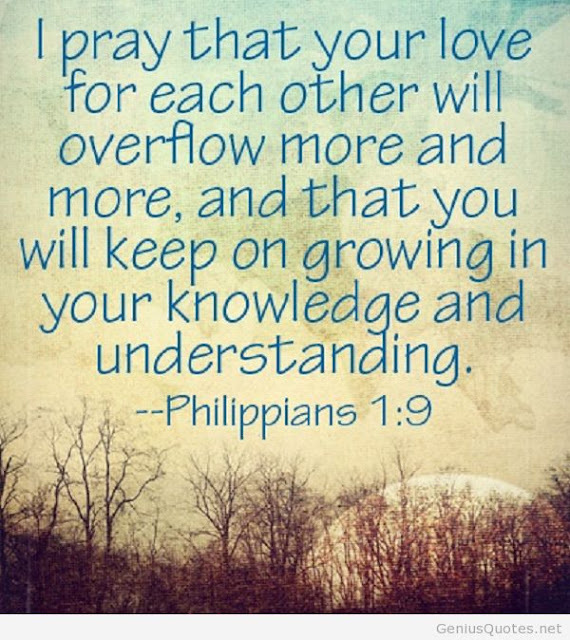 Such a powerful verse for our relationships, including marriage and within the body of Christ. more and more... stood out to me. There's always room more more growth. My husband and I have been married for over 10 years now and I can't help but be amazed at how much I love him. I don't know that I love him more, but I love him better now that we have grown and matured together and with God. Almost thirteen years in and as I make myself vulnerable to His love, I am able to love my husband with a whole heart. Amen! This is one of my favorite verses!! This is a wonderful prayer to pray for anyone and everyone!